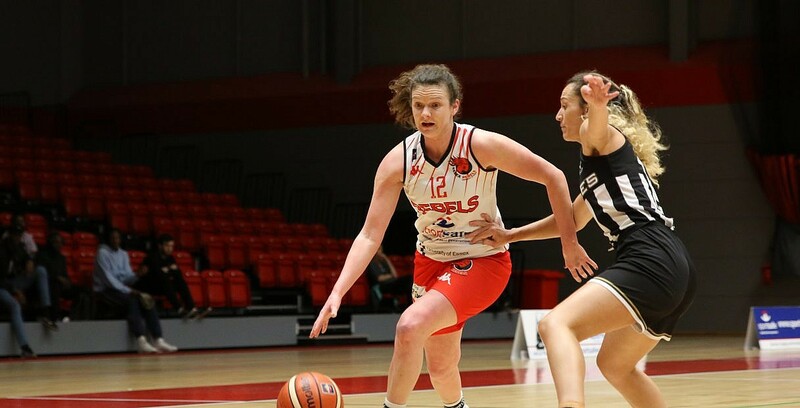 Those present at an absorbing contest will never forget a special day for WBBL rookies Essex Rebels as they claimed a first ever league victory in the top flight. It also proved to be a memorable way to get off the mark as they outlasted the Eagles in an absolute overtime epic, while hitting the century mark for good measure. Turning point – Kalina Axentieva was excellent for the visitors and the leading light, but two missed free throws late in regulation and it proved costly. Meanwhile a great start by Rebels in overtime was also a difference-maker. Key stat – Rebels dropped 50% of their attempts from two-point range and this eye-catching effort inside really laid the foundation for the victory. Also their three-point shooting was on-point too. Game hero(es) – Jessy Ward was sensational with 36 points, 7 rebounds and 7 steals. It was DeAngelique Waithe who did much of the early running for her team and she was also superb with a 32-point and 12 rebound double-double.